more pics and video on my blog: Australian Open 2018: Sweet Caroline! The women’s final at the 2018 Australian Open was going to be special regardless of the outcome. It was a battle between the top two ranked players in the world. But more than that, it was a battle between arguably the two best players currently on tour without a Major win in singles. While it was difficult for me as a fan to watch Simona Halep come up short for a third time in a Major final, it was also wonderful to see Caroline Wozniacki finally get the monkey off her back with her maiden Major title. Her team might see this as validation that doing it their way has ultimately proven the right way. However, it’s impossible to prove a counterfactual. In other words, had she fully committed to an outside coach or a different style of play earlier in her in her career it’s impossible to know whether she might have won a Major or multiple Majors before now. Today, that doesn’t matter. This is a day to celebrate her accomplishment and to finally check off the only thing that was left for her to do in her career. Even before winning she was a sure-fire Hall of Famer. But now she begins her rise on the list of the all-time greats. At 27 years old, Wozniacki has time to win more Majors and to further complete a career resume that could put her shoulder to shoulder with the greatest to have ever played. 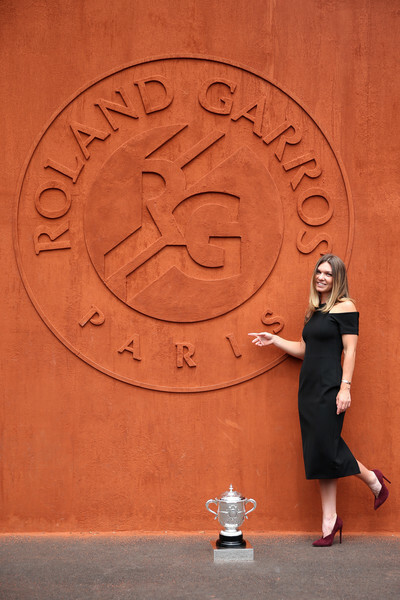 I think Caro really has earned her place the last couple of months. I'll never be a fan of hers, nothing is exciting or unique but she gets the job done. She didn't deserve to be No.1 the first time around.I remember not liking her because it seems for a couple of years she played and won a lot of tournaments that a top 10 player should not frequent as much as she did. Maybe something like 11 or 12 of her 28 titles won are Tier/International or lower. Last edited by fetucinialfokcu; 01-30-2018 at 11:26 PM. Sorry to answer so late. My fandom for Wozniacki has diminished a bit over the years. I understand tennis players yell and complain to the chair umpire regularly, but when she engages the chair umpire, Caro does it in such a condescending way. Don't like it. Oh. Yes. Heck. Yes. 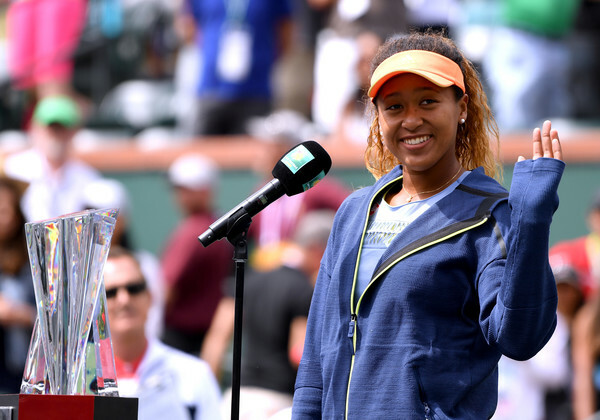 Naomi Osaka’s championship victory at the 2018 BNP Paribas open at Indian Wells was the most thrilling win to watch as a fan for me in a very long time. I often speak of my Mount Rushmore top four currently being Madison Keys, Maria Sharapova, Petra Kvitova and Simona Halep. 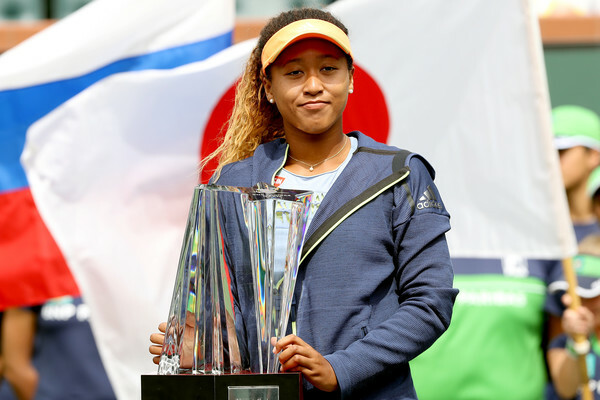 But right there at number 5 currently for me was Naomi Osaka. I say “was” because you have to earn your way in to that top four with me. Well, time to make a change. Osaka is now on my Mount Rushmore along with Keys, Sharapova and Kvitova. 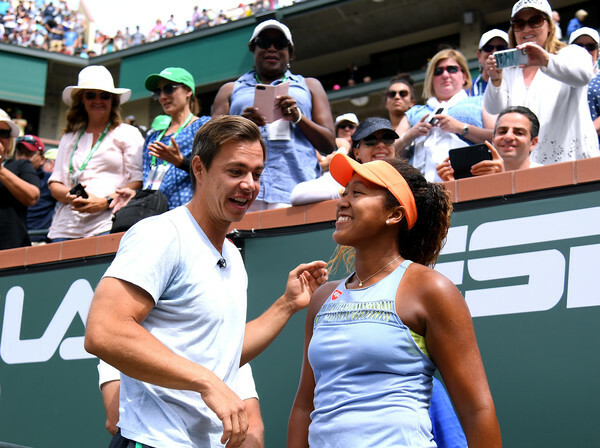 I still love Simona, she’s number five, but Naomi Osaka is special. Not only is she in my top four now, she is second only to Madison Keys. And who knows? She might unseat Maddie depending on how things go. 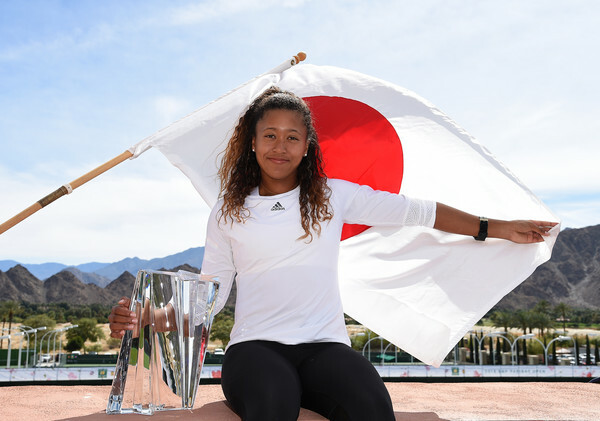 What an incredible run Osaka had at Indian Wells. 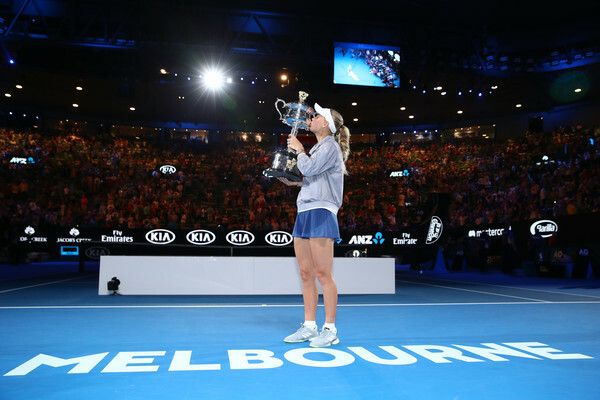 She went through five-time major winner and former number one Maria Sharapova. She went through former Wimbledon finalist Agnieska Radwanska. She went through former world number one Karolina Pliskova. She blew through the current world number one Simona Halep extremely easily, 6-3 6-0. 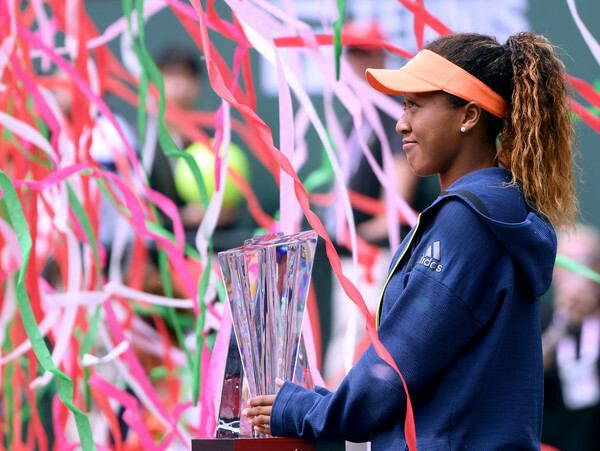 And then Naomi claimed her first ever professional title, the first women’s singles title for a Japanese player at Indian Wells, with a 6-3 6-2 straight-set victory over Daria Kasatkina, a fellow 20 year old Rising Star, who herself was coming off of a string of incredible wins including an epic three-setter against Venus Williams. 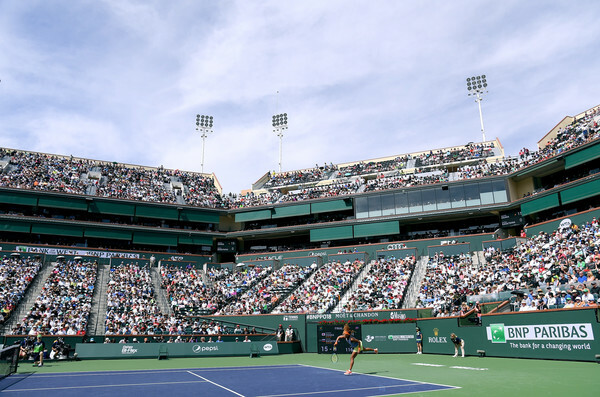 In 2001, Japan’s Ai Sugiyama won a doubles title at Indian Wells with American Nicole Arendt. The power game of Osaka is now coupled with a new patience. If she can maintain her newfound consistency under the tutelage of coach Sascha Bajin, former hitting partner of Serena Williams, Victoria Azarenka and Caroline Wozniacki, we could be seeing a player that could dominate women’s tennis for the next 8 to 10 years. But let me not put a ton on her shoulders after her first ever big win, actually her first win of any kind on the professional level. Obviously, other young big time players with talent like Madison Keys, Sloane Stephens, Daria Kasatkina, the comebacking Belinda Bencic and others will have a lot to say about that. And the established players like Halep, Garbine Muguruza, Karolina Pliskova and still young Caroline Wozniacki will also stand in the way over the next decade. But Osaka is special if she can maintain this consistency. Like Madison Keys, she has what some people would call easy power. The ball just jumps off of her strings in a way that it does for few others. She has the ability when she’s on to take the racket out of her opponents hands. There’s nothing they can do when she’s on. But that’s the future. Let’s just let Naomi enjoy what she has done presently. And as a side note, there is also a part of me that roots for her because she has a black father and an Asian mother, was born in Asia and moved to America when she was 3 years old. That is exactly the same thing that is true of me. I don’t really like to inject things like that into my fandom. However, if I’m being honest, I would have been her fan regardless but those extra details in her life story matching mine does enhance my fandom for her. I will admit, I shed a tear this time. Well, maybe a tear or two. Simona Halep was due this. I understand that nobody in sports is owed anything. No matter how many close calls an athlete has, in the end it is in their hands whether they win or lose. You have to do it the old fashioned way. You have to earn it. That is true, but I still felt Simona Halep was due a Major championship. 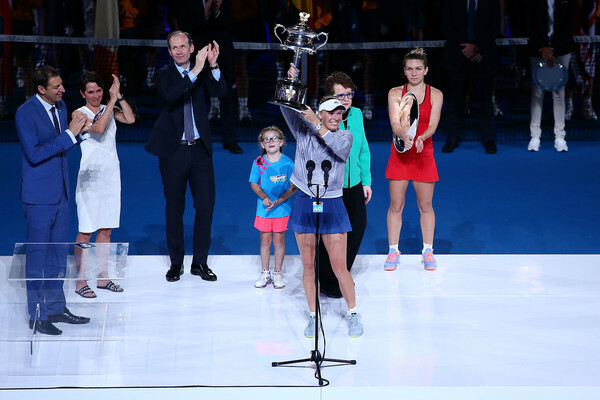 Three times before she had knocked on the door of ultimate tennis glory, reaching two Roland Garros finals, losing to Maria Sharapova in 2014 and Jelena Ostapenko last year, and the Australian Open final just this past January, falling to Caroline Wozniacki. Halep has 17 singles victories at the age of only 26 and is the reigning world number one player on the WTA rankings. She even once handed Serena Williams her worst ever loss, 6-2 6-0. 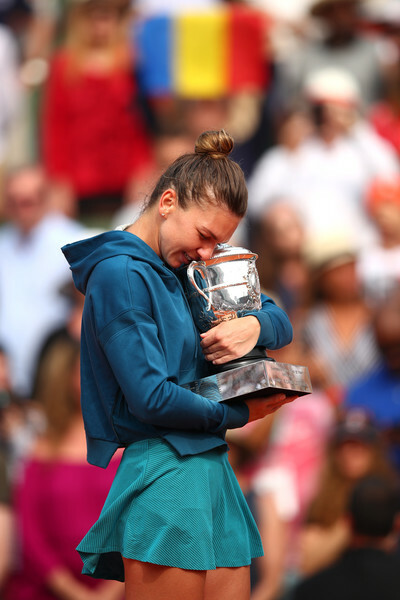 When the third set of Saturday’s Roland Garros women’s singles final against Sloane Stephens was over and Simona had finally triumphed, 3-6 6-4 6-1, and held her first Major, it was one of the happiest moments as a fan that I have had in recent years. That is to take nothing away from an incredible tournament and final from Sloane Stephens. I am very fond of Sloane as well and would have been happy if she had won. 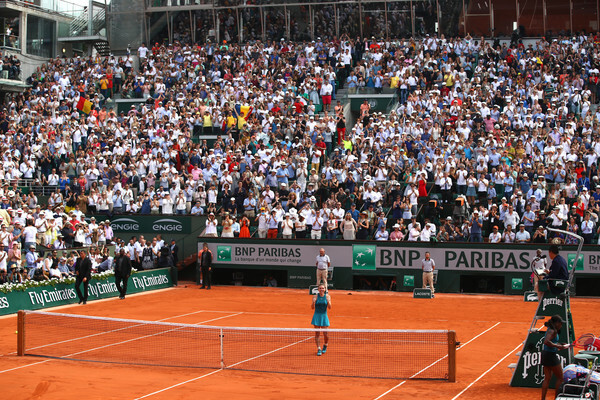 But the win for Halep was significant in a different way in tennis history and legacy. There’s a line of demarcation between players who have been world number one but never won a singles Major such as Dinara Safina and Jelena Jankovic. For that matter, also Caroline Wozniacki before she finally broke through at this year’s Australian Open. So perhaps it was fitting that in back-to-back Majors two women who have held the world number one ranking but had not won Majors finally removed that monkey from their back. What made the victory for Simona even sweeter was that Sloane Stephens really made her work for it. Stephens, who is the reigning US Open champion, for the first set and early into the second set looked impenetrable. While Sloane’s level did dip a little bit, it was Halep raising her play and having strong mental fortitude that proved the difference. Even the final set, with that 6-1 score, was about as competitive a 6-1 set as you will ever see. The score did not tell the story of how tough a battle this was for Simona all the way through. But now, she finally and forever is a Major champion. She no longer has to answer questions about when she thinks she will win one or what does she think it will take to win one. Like Simona, the legendary Chris Evert lost her first three Major finals before breaking through. Chrissy went on to win 18 singles Majors. I am not predicting that Simona will win 18 Majors. In fact, if I have to predict anything I would say she definitely won’t win 18 Majors. But if she can stay healthy, I certainly could see 4 Majors before her career is done, a career similar to Hall of Famer Kim Clijsters.